Hi, I am Prabhat from India, I am a Travel Planner at Go Heritage India Journeys to help travel world get global over the age of internet. 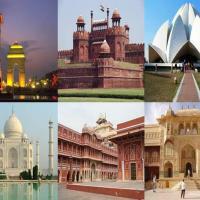 India Golden Triangle Tour is an e-travel services company. We at the company aim to achieve high standards of customer satisfaction by providing quality services with value for money approach.